Your itinerary for your medical weekend of immersion is as follows, be sure to check in for your examination on Saturday at Psycho Ward for a through examination with hands on experimentation and live dissection. 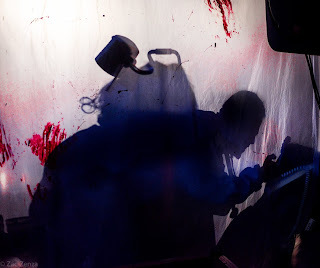 A resident of the underground dance event 'Sinistry' in London, which is synonymous with London's longest running industrial club 'Slimelight'. 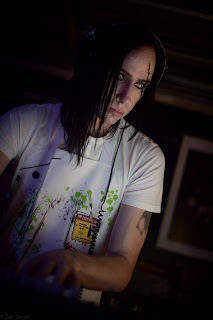 Kohl will definitely be sticking around the underground scene - doing what he does best; working decks to rock the party. Move your muscles at Psycho Ward- its doctor's orders. This is you appointment to the audio therapy unit at Psycho Ward July 2nd with DJ Darkstar. DJ DARKSTAR is the occult, shape-shifting Prince of Darkness whose audio art is inspired by the grotesque, the violent and the chaotic. 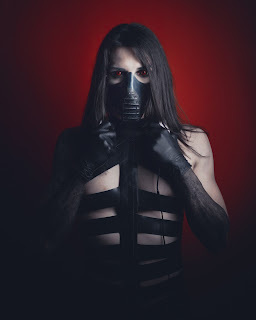 Specializing with experimentation in the combining the elements of gothic; industrial; dark electro; aggrotech and EBM mixed with dubstep and DnB, Darkstar produces sounds and beats that will unleash the beast within the breast of all the lunatics within the asylum. Come close and feel the mania at Psycho Ward July 2nd- your cure is waiting. 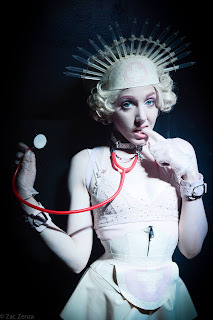 Come and witness the insane and the bizarre for your viewing pleasure at the Psycho Ward operating theatre July 2nd as Sophia Disgrace will be disrobing and letting go the strings of sanity as she descends into perversion in her performance Le Chien. The barriers between animal and human blur as glitter and bodily fluids clash do not miss this mania! You are invited to join us in our house of healing to celebrate your sickness- and it doesn't get much sicker than perverse Nurse Aima Indigo- a high intensity performer pumped to cartoon levels. You better take your medicine- Aima will be demonstrating her unique brand of therapy in our operating theatre July 2nd. Her proffesional credentials have sent her across the globe and have seen her model for Jean Paul Gaultier.